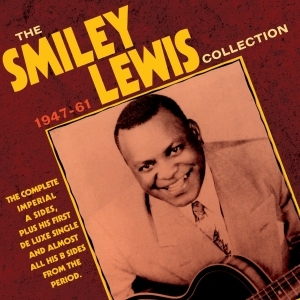 Smiley Lewis was one of the unluckiest artists to emerge during the R&B era of the early ‘50s and the formative years of rock ‘n’ roll, overshadowed as he was by another R&B star from New Orleans, Fats Domino, which meant he played second fiddle to Domino throughout his career, and even saw some of his biggest hits and best-known songs, such as “I Hear You Knocking”, “One Night” and “Shame Shame Shame”, covered by other mainstream pop artists. He was signed to Imperial, the same label as Domino, and had the same producer, Dave Bartholomew, which exacerbated his slightly secondary status, and his chart profile was relatively modest, but over the years he consistently recorded some fine blues and R&B material in the distinctive New Orleans style and was considerably more influential than his roster of hits would indicate. This great value 60-track 2-CD set collection comprises the A sides of all his Imperial releases, along with almost all the B sides, plus one of his early 1947 singles for the De Luxe label. It’s a worthy and comprehensive overview of his career.